Professor Peter Sly is recognised internationally in the area of Children’s Environmental Health. 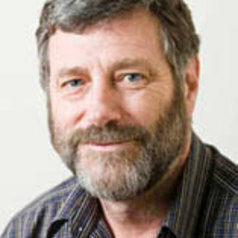 He currently directs the Children's Health and Environment Program at QCMRI, The University of Queensland; is on the Advisory Board for a long standing WHO – National Institute of Environmental Health Sciences Collaborative Agreement; is the Chair of the Board of Directors of the Pacific Basin Consortium for Environment and Health; and is an advisor to the WHO, Public Health and Environment Section. Professor Peter Sly is a NH&MRC Senior Principal Research Fellow and a paediatric respiratory physician with extensive research experience in respiratory physiology. Faced with the global challenge of the escalating incidence of childhood lung diseases Professor Peter Sly seeks to identify and develop preventative strategies for children at greatest risk. There is an increasing recognition that most chronic adult diseases have their origin in childhood; especially respiratory and cardiovascular diseases. Professor Peter Sly’s research aims to understand the mechanisms underlying chronic childhood lung diseases in order to improve clinical management and to delay or prevent their onset, with consequent reductions in adult lung diseases. A combination of basic science, longitudinal cohort studies and translation of research findings into clinical practice, including clinical trials, are included in three main areas: asthma, cystic fibrosis and children’s environmental health. Professor Peter Sly is a frequent speaker at international conferences and widely published in the leading journals in his field.